Minoma. 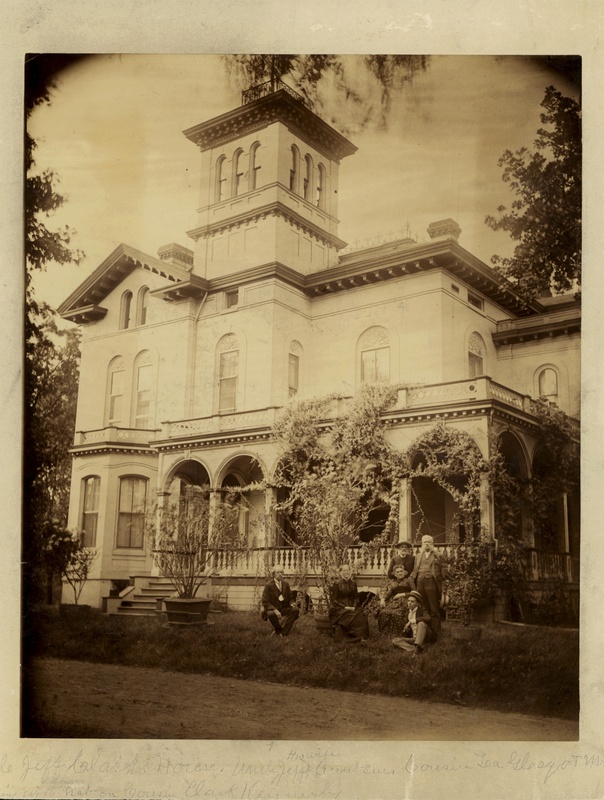 Residence of Jefferson Kearny Clark, 4201 Edgewood Boulevard. "Uncle Jeff, his wife Aunt Sue, Cousin Lea Glasgow and Mr. Wm. Glasgow; standing with hat on, Cousin Clark Kennerly." Used as Edgewood Nursing Home before 1959 demolition.